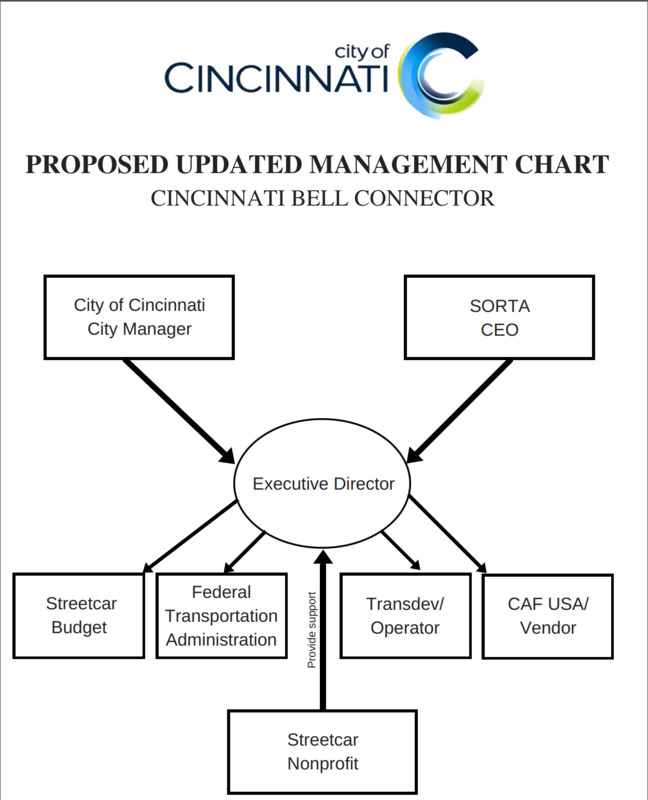 CINCINNATI -- The streetcar's management structure is ready for a change, and City Council took a step today toward making that happen. As WCPO previously reported , Council member Greg Landsman last week submitted a motion that would establish an executive director position to oversee streetcar operations. He or she would report to both the city and the Southwest Ohio Regional Transit Authority. City Council approved that motion during Wednesday's full council meeting. The motion also called for the creation of a new nonprofit to support the new executive director. Council members and city administrators have long expressed frustration over the number of cooks in the streetcar's kitchen. In March, Assistant City Manager John Juech said, " You need one neck to choke . I don't know if we're going to get where we need to go under this management structure." Landsman emphasized during Wednesday's meeting that existing streetcar funds can support the proposal. Council approved Landsman's motion 5-1, with Vice Mayor Christopher Smitherman being the sole "no" vote.